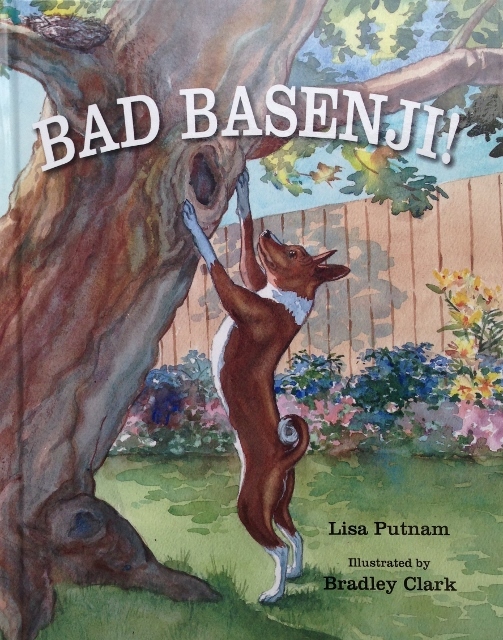 Bad Basenji! is a delightful children’s picture book about a naughty, quirky, loveable dog named Bongo. Bongo is a basenji (pronounced buh-SEN-jee), and basenjis are full of surprises. Sometimes, a basenji behaves like a cat. Often, a basenji behaves like a wild animal. Occasionally, a basenji behaves like a dog. The entertainment is never-ending. Discover what wacky mischief this howling basenji creates. There is never a dull moment with Bongo around! Lisa Putnam has been writing stories, songs, and poetry since she was very young. But it was the silly antics of one of her rescue dogs that inspired her to write a children’s book and share her entertaining basenji story with the world. The author is the proud mother of two daughters who share her love of animals, music, writing, and exploring the great outdoors in sunny Colorado. She lives in Denver with her family and one “bad” basenji. Bradley Clark has a special love of painting people, animals, and plein-air landscapes. He and his wife, Cynthia, graduated from the Art Center College of Design in Pasadena, California. They moved to New York City then the Hudson Valley where they raised three children who now all live on the West Coast. In 2009 he and his wife moved to Utah so he could sing in the Mormon Tabernacle Choir and they could be closer to their two grandchildren.